Little Mazarn is a band from Austin, TX consisting of Lindsey Verrill and Jeff Johnston. Jeff plays singing saw that matches Lindsey's voice like blood harmony and still uses his favorite Casio keyboard from 1983. Lindsey writes the songs and runs her banjo through as many crackling weird spinning speakers as possible. Their music has been described as 'a loving nod to the purity of true Americana music, unimpeded by gimmicks or irony.' 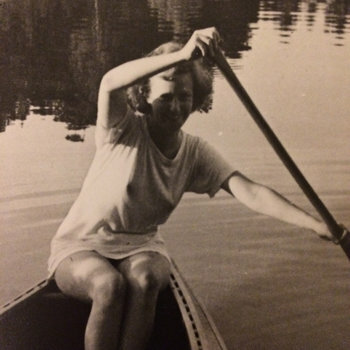 (Pop Matters) 'A dreamy pop that would have fit in nicely with the slowcore of the late 90s and early 00s' (ALT Dialogue) and 'a bell unanswered' (Swordfish Blog). The music is at the same time traditional & experimental, dreamily hooky but outside of time and expressive as hell. Both Lindsey and Jeff play many instruments and have been longtime fixtures in the Austin scene contributing to records and performances by artists such as Ethan Azarian, Bill Callahan, Dana Falconberry, The Gourds, Patty Griffin, Will Johnson, some say Leland, the Lonesome Heroes, the McMercy Family Band, Moonsicles, Ramsay Midwood, Okkervil River, Craig Ross, Tim Rutili of Califone, Charlie Sexton, Thor and Friends, Adam Torres, Li'l Cap'n Travis, Twain, the Weird Weeds, and many more. Lindsey is a founding member of the Annie Street Arts Collective. 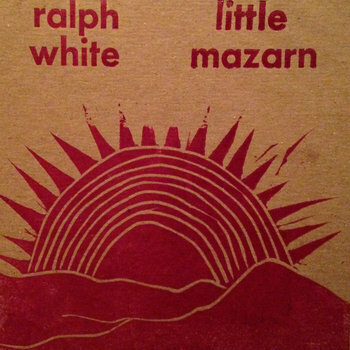 Ralph White and Little Mazarn are friends that live in Austin, Texas. Both have their own unique ways of seeing the world. This is a little collection of songs they enjoy playing, recorded live and unrehearsed. The sound is raw and howly.